When doctors and therapists work together on your behalf, you receive the most effective treatments available. 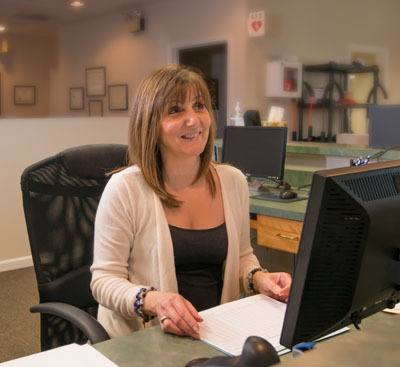 Superior customer service and patient care are our highest priority. Our professionals understand that patients benefit from accurate and experienced diagnosis and evaluation. Our center allows patients to achieve better results, return to daily routines faster, regain stability, and move with less pain, more freedom and fewer medications. 249 million prescriptions for opioids were written in 2013. There has been a 400% increase in prescriptions for opioids since 1999, but there has not been an overall change in the amount of pain that Americans report. As many as one in four patients who are receiving long-term opioid therapy in a primary care setting are struggling with addiction. From 1999 to 2014, more than 165,000 people have died in the U.S. from overdoses related to prescription opioids. Total US societal costs of prescription opioid abuse were estimated at $55.7 billion in 2007. Nonpharmacologic therapy and nonopioid pharmacologic therapy are preferred for chronic pain. Integrative Care is the future of health care in America. Sometimes, patients benefit most from complimentary therapies. By integrating multiple modalities and specialties, we are achieving results, restoring function and decreasing pain for people of all ages, activity levels and lifestyles. Addressing the main causes of your individual condition and working to prevent recurring injury, discomfort and pain. Offering one-on-one care that is simple, safe, efficient, and state of the art. Area medical doctors have come to understand how valuable accurate diagnosis and assessment is to the successful outcome of their patients who suffer from injury, chronic or acute pain. They know that Dr. J. Adam Wagner has the clinical experience in diagnosis and treatment of joint and muscle dysfunction, and the ability to assess complex conditions, as well as routine complaints. Dr. Wagner combines the best “passive” therapies (modalities), with careful diagnosis. He also offers his patients affordable, certified Spinal Decompression Therapy and Active Therapeutic Movement Therapy. Strengthening Exercise and Fitness Instruction offers our patients the opportunity to recover fully in a safe environment. Each therapy we utilize provides unique benefits to those who have back, neck, shoulder, pelvis, hip, and knee pain. Unlike other chiropractic centers, our philosophy incorporates the input of your personal medical doctors. We believe that a close working relationship with your medical and osteopathic physicians, and other therapists, is the key to your optimal overall results. Acupuncture is especially effective in the treatment of many types of pain, but is also used to treat a wide variety of conditions like asthma, insomnia, stress, smoking cessation and others. Minimally invasive, acupuncture is effective on its own, or in combination with other therapies. Acupuncture, an ancient Chinese medical procedure dating back to the sixteenth century, involves placing single-use stainless steel needles beneath the skin to stimulate the body's 14 major meridians (energy carrying channels) which promotes a therapeutic effect. This holistic system holds that the meridian pathways where the acupuncture points lie are not just connected to the area that they are located, but further along the meridian, and also to the internal organs of the body, helping it to resist or overcome illnesses and pain by correcting imbalances. Our comprehensive Medical Massage program targets problematic areas of pain and/or dysfunction. Our therapists incorporate several modalities of massage including Swedish, Deep Tissue, Sports Massage and Advanced Pain Management Techniques. We focus on “connecting the dots”. Each patient’s circumstance is different and unique. By bringing talented and dedicated practitioners together as a TEAM, you receive the right kind of care and attention, giving you the very best chance for a positive experience and a successful recovery from injury, surgery, acute or chronic pain or illness. Not just a luxury, our Spa Massage Therapies help you relax and escape. In a serene atmosphere, take time to regenerate from the pressures of everyday life. Escape into physical and spiritual wellness. Not just an indulgence but a necessity in today's hectic world. We also offer essential oils aroma therapies to enhance your massage experience.